The latex is toxic and should not be used internally and, when applied to the skin, may cause an allergic reaction to sunlight. Native to Western Asia, figs now grow wild, and are often cultivated in temperate and subtropical regions. Figs comprise about 2,000 species and are one of nature's natural antibiotics. The fig comes from a large pantropical genus of deciduous trees and shrubs in cooler climates, but evergreen in hotter regions. They grow to about twelve feet, having large leaves and fleshy recepticals that ripen into purple-brown, pear-shaped fruits. The Banyon Tree grows wild in India and Pakistan, but it is also cultivated across the Indian subcontinent. It grows to about seventy feet, producing oval leaves, fig-type fruits, and roots that grow into the ground from the branches. The Peepal tree is also found in India, mainly in the northern and central parts. It grows to about twenty-five feet in forests and by water. It produces large, leathery, heart-shaped leaves and purple fruits that grow in pairs. The tree is also cultivated throughout the subcontinent and southern Asia. The fig is often referred to in the Bible, including its leaves supposedly being used to cover the modesty of the first man and woman. The ancient king Mithrydates proclaimed figs a health tonic in 1551 BCE. Pliny wrote of no fewer than twenty-nine different kinds of figs, regarding them as a great aid to strength and swiftness. Pliny also noted that ancient sports warriors, called gladiators, were fed a diet of figs to bring out their strength and stamina. Spartan athletes in ancient Greece were said to eat figs in order to improve their performance. A cough remedy taken from The Queen's Closet Opened (1655) by W.M., a cook to Queen Henrietta Maria of England, says: "Take a handful of Hysop; of Figs, Raisins, Dates of each an ounce, French Barley one ounce, boyl therein three pintes of fair water to a quart, strain it and clarifie with two Whites of Eggs, then put in two pounds of fine Sugar and boyl it to a syrup". Variations of this recipe are still used today and, not only for queens. Gerard recommended the fruit for such ailments as those of the throat and lungs, for tumors, and skin problems from freckles and warts, to small pox and leprosy, for hemorrhoids and kidney stones, for toothaches and other maladies. He summed it up best when he said that figs preserved us from all pestilence. The Aztecs made paper, called "amatl", from the inner white bark of both the fig tree and another tree called Anacauite (Cordia boissieri). Their important codices were recorded on that paper. Each year, subject states were required to deliver thousands of pounds of "amatl" paper to the Aztec capital of Tenochtitlán. Because the paper was used in religious ceremonies, it was banned by the Catholic Church during the colonial era, but remnants of the old religious traditions have survived in parts of rural Mexico where fig bark paper, cut into shapes of crops, is planted along with the seeds as an offerring to ensure good harvest. Mexican "witches" still use the paper for sorcery, making paper dolls as a love object or a hated enemy. Artisans in the state of Guerrero, Mexico, use brown "amatl" paper as a canvas for the colorful paintings of flowers, animals, and country life scenes that have become popular tourist souvenirs sold in many shops and markets. As for a cancer remedy, researchers at the Insititute of Physical and Chemical Research at the Mitsubishi-Kasel Insitutue of Life Sciences in Tokyo discovered a chemical contained in figs that does treat the disease. When mice were injected with an extract from the fruit, they found that their tumors shrank by one-third. They took that substance, benzaldehyde, and tested it on cancer patients with remarkable success. The dried fruit has a pronounced, but gentle, laxative effect; and a syrup made from the fruit is a remedy for mild constipation and much better for the body than commercial laxatives. The fruits emollient pulp helps relieve pain and inflammations and has been used to treat tumors, swellings, and gum abscesses although, the fruit is often roasted before application. It is also a disinfectant. A poultice of dried figs will considerably reduce the foul stench given off by chronic leg ulcers when applied directly to the wound. Being mildly expectorant, the fruit, when combined with such herbs as elecampane, is helpful in treating dry, irritable coughs and bronchitis. The milky latex from the leaves and stems is reputed to be an analgesic, as well as being used on warts, insect bites, and stings. However, caution is advised. In Ayurvedic medicine, the fig is used as a tonic, diuretic, and a treatment for gonorrhea. In Chinese medicine, a related species, F. lacor, is used to induce sweating. A species native to China, Indonesia, and Australia, (F. retusa) is used in Chinese medicine to treat toothache and tooth decay. The juice and powdered bark of a related Central American species (F. cotinifolia) are applied to wounds and bruises. Medicinally, the sap is applied to scorpion stings, boils, and such other skin afflictions as ringworm. It is sometimes used as an emergency bandage to protect wounds. The dried leaves are sometimes smoked to treat asthma, while the fruit is a standard remedy for constipation. Traditional Arabian medicine uses figs, which they believe to be diuretic, laxative, and emollient, to treat conjunctivitis, leprosy, and hemorrhoids. They see figs as being strengthening to the body, building stamina and vigor. The leaves and bark are employed to relieve diarrhea and dysentery and to reduce bleeding. The latex is used in the same way as other Fiscus species, including application to hemorrhoids, warts, and aching joints. The fruit is laxative and the roots are chewed to prevent gum disease. In Ayurvedic medicine, the bark is used to treat diabetes. Its uses are relatively the same as those of the Banyon Tree, with the bark and leaves taken for diarrhea and dysentery, while the leaves alone are used to treat constipation. 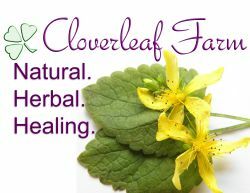 The leaves are used with "ghee" (a clarified butter) as a poultice and applied to boils and to swollen glands in mumps. The powdered fruit is taken for asthma, and the latex is used to treat warts.